My studio is in our garage, which means the weather is a huge factor in how productive I am on a given week. When its really cold, I’ll sketch at the dining table and come up with new ideas for paintings. Then, when it warms up a bit, like this past week, I can put the garage door up, enjoy the fresh air and knock out a few paintings. Love Birds II, is a remake/reinterpretation of an artwork that I sold last year. The general shape of the birds is very similar to the original, but the scale, wings and background are different. I’ve gotten a lot of response from this painting – people seem to like it for one reason or another. There is a simple sweetness to the image that I don’t often incorporate in my work which makes me like it for the contrast it brings to the rest of my paintings. These two are on 8-inch birch circles and were created from the same drawing by flipping the image. I like them as a pair and think they would look cool hung on either side of a bigger image. These bunnies are directly inspired by my daughter, Olive. She has a deep love for all things bunny right now. 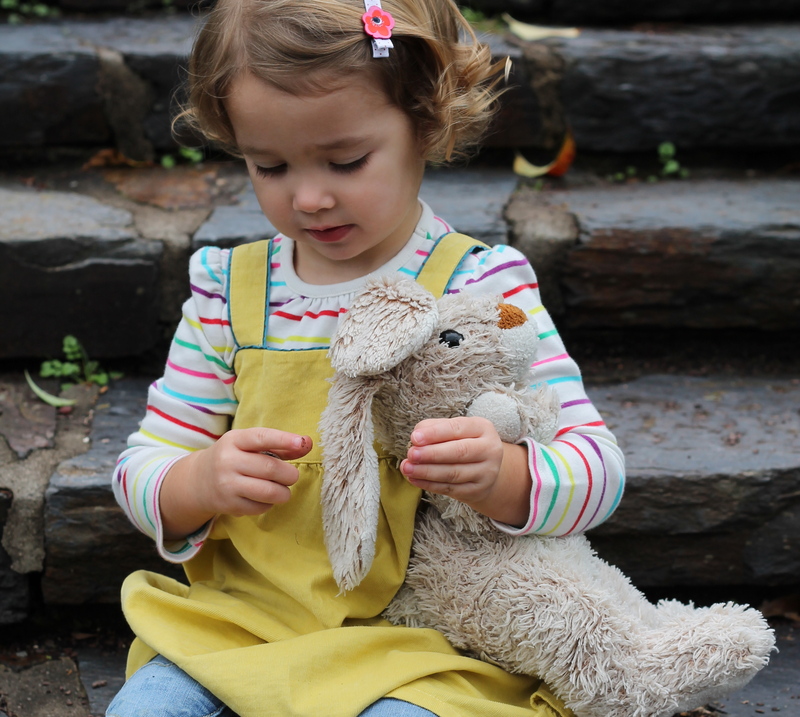 Every day we talk about bunnies, play with stuffed bunnies and read about bunnies. She has a couple of Little Golden Books about bunnies that have been passed down to her. I definitely took inspiration from that 1950’s style of children’s illustration. Together these three paintings have a few major things in common – the simplified forms that create an abstract version of the subject, an unrealistic color palette and the repeating brown lines that make up the feathers and fur. My subject matter lately is all about recreating wildlife and I have more in mind that I want to explore. Fingers crossed that the weather makes a turn for the best here soon. Painting the call of the wild is much easier when the temperature rises above 34 degrees – or maybe North Carolina has just spoiled me. ← What Wood You Say? I absolutely love the love birds! The contrast is amazing. The detail is truly beautiful. I think I like Love Birds II better than I did the original.